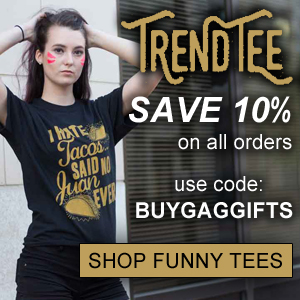 Welcome to BuyGagGifts.com, your source for Gag Gifts like the Farting Wallet below. Check out our other gift categories for more gag gifts, novelty gifts and fun gifts. $11.89 when you use our exclusive coupon!! Fart Wallet is sure to get people to take notice! Just distract the cashier when you're about to pay by opening your wallet to... PPPFFFTTTT.... your money. Inside the wallet has a fake Fart Licences and two tickets to Gone with Wind. Wallet has two compartments to hold your $5's and $10's.